Manchester United left-back Luke Shaw will wait to see how he fares this season before he makes a decision on signing a new deal with the Manchester club, according to a report published by The Metro. 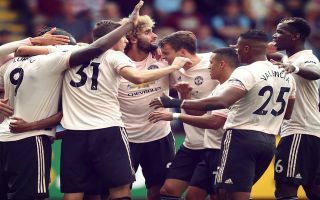 Shaw has enjoyed a great start to the season, his impressive performances led to Gareth Southgate recalling the full-back to the England squad for the first time in 18 months. Shaw has made 4 starts for United this season, becoming an integral part of United’s attack in the wide areas. Shaw impressed on his return for England assisting club teammate Marcus Rashford in the first half of the UEFA Nations League encounter against Spain. Unfortunately Shaw was stretchered off early in the second half after sustaining a head injury but the injury wasn’t deemed to be serious leaving – both United and England fans rejoiced as they had nothing to worry about for their star man. Shaw’s decision to wait on agreeing a new deal could be down to the star’s rocky relationship with manager Jose Mourinho. Shaw was left to watch on the sidelines for most of last season as Mourinho opted to start Ashley Young at left-back instead of the former Southampton man. Shaw currently earns a whopping £130,000-a-week according to the Metro report. The 23-year-old is out of contract at the end of this season after joining United from Southampton in the summer of 2014 for an initial fee reported to be £27m according to BBC Sport. With Shaw enjoying an impressive start to the season the England international is finally living up to the fee that United paid for him in 2014. United fans will be keen to wrap the player in cotton wool as Shaw’s Manchester United career has been littered with injury and fitness problems until now. Should Shaw remain fit this season he could establish himself as one of the world’s best left-backs.